For exhibition inquiries, please contact Melissa Webb, Exhibitions Manager, at mwebb@promotionandarts.org.  Volunteer/tour guides are needed to warmly greet and welcome visitors to the Top of the World and provide information/orientation on Baltimore's attractions and amenities. Click here for an application.